At the 2017 AMSAT Space Symposium in Reno, NV, AMSAT announced GOLF, the next phase of AMSAT’s CubeSat program. Just prior to the Symposium, the AMSAT Board of Directors voted unanimously to endorse the GOLF program as part of AMSAT’s strategic goals involving high altitude, wide access satellite missions. In March 2018, NASA announced that the first two GOLF satellites, GOLF-TEE and GOLF-1, had been selected for participation in the CubeSat Launch Initiative. For the past decade it has been apparent that the only reliable access to space for the amateur radio community is through the construction and launch of CubeSats. The small satellite and rocket industries are now almost fully commercialized and even the launch of a Microsat-class spacecraft to LEO, like AO-51, is now seemingly impossible for an amateur radio group to finance. To this end, AMSAT began the Fox project in 2009 and has successfully returned AMSAT to space. The first Fox-1 satellite, Fox-1A (now AO-85), was launched through NASA’s CubeSat Launch Initiative in October 2015. RadFxSat / Fox-1B (now AO-91) followed with a launch through the CubeSat Launch Initiative in November 2017. One more Fox-1 satellite, RadFxSat-2 / Fox-1E, is scheduled for a launch through the CubeSat Launch Initiative later in 2018. 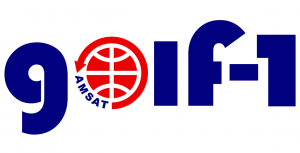 Additionally, AMSAT purchased commercial launches for Fox-1D (now AO-92), which launched in January 2018, and Fox-1Cliff, scheduled to launch in the summer of 2018. The Fox-1 satellites, all 1U CubeSats, have demonstrated the successful combination of educational research missions, carrying experimental payloads from Vanderbilt University, Virginia Tech, Penn State – Erie, and the University of Iowa, with amateur radio communications. However, the Fox satellites are all in Low Earth Orbits between approximately 500 km and 800 km. While satellites in orbits between 500 km and 800 km can provide an excellent introduction to satellite communications and support experimental payloads, their altitude limits both the amount of time the satellite is available in any one part of the world and maximum communication range (footprint). Clearly higher is better, hence the next AMSAT CubeSat program, “Greater Orbit, Larger Footprint” or GOLF. Higher is clearly better when it comes to amateur radio satellites. The larger footprint, which brings more DX opportunities and more good passes per day, also provides for a longer orbital lifetime, and slower motion across the sky. This results in longer pass durations and easier tracking. However, higher orbits introduce a new set of challenges for AMSAT Engineering. Opportunities for launches to higher orbits are limited as most CubeSats are generally targeted for orbits in the 500 km – 600 km range. There are also design challenges, the thermal environment is colder (less radiation from the earth’s surface), more power is required (meaning higher capacity batteries and more solar panels), antennas need higher gain for a good link budget, radiation is higher, and, most importantly, orbital debris requirements mean some form of propulsion or passive deorbit system is required to meet the 25-year deorbiting requirement. GOLF is designed to continue the growth of AMSAT’s CubeSat abilities, incorporating new systems such as Software Defined Radios and deployable solar panels into a 3U spaceframe. 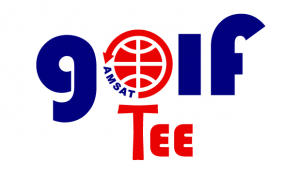 GOLF will also continue AMSAT’s educational partnership outreach that takes advantage of the synergies that amateur radio satellites and education have to offer the public. GOLF involves new challenges and will serve as a platform for developing, testing, learning, and gaining proficiency in new technology, such as Attitude Determination and Control (ADAC), propulsion, and collision avoidance. In addition, any higher orbit, whether LEO, MEO, HEO, or GEO, must meet orbital debris requirements. AMSAT must develop and learn de-orbit capability for successful missions to higher orbits. 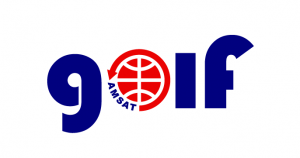 While providing hands-on knowledge and experience for putting an AMSAT CubeSat into HEO, GOLF will also serve to regularly re-populate amateur satellites, providing coverage for years to come. GOLF’s 3U spaceframe will be designed to provide versatility to add mission specific radios, power supplies, and experiments. A series of GOLF CubeSats will provide better coverage and a greater footprint will allow more coverage by fewer satellites. Additionally, GOLF provides further opportunity to establish a track record for long missions and orbits lasting longer than 25 years. GOLF also allows AMSAT to continue and expand partnerships with universities, NASA and others. GOLF will provide for additional experimental payloads such as GPS, satellite interlinking, and others. The first GOLF CubeSat, GOLF-TEE, will jump start the GOLF program with a launch to LEO as early as the fourth quarter of 2019. The immediate opportunity arose because of AMSAT’s partnership with Ragnarok Industries on the Heimdallr satellite (AMSAT’S first Phase 5 opportunity), a finalist in NASA’s CubeQuest Challenge. GOLF-TEE will use Attitude Determination and Control (ADAC) and power systems developed for Heimdallr. AMSAT will benefit by gaining knowledge as well as hardware for future missions. GOLF-TEE also provides an opportunity to fly projects that have been developed by AMSAT’s Advanced Satellite Communications and Exploration of New Technology (ASCENT) “skunk works” program. In addition to a “five and dime” 5 GHz uplink / 10 GHz downlink SDR transponder, GOLF-TEE will carry a Fox-1E design V/u linear transponder and RadFx (Radiation Effects) experiment like that in Fox-1A for Vanderbilt University. GOLF-1 will aim for higher LEO orbit as the first official “Greater Orbit, Larger Footprint” AMSAT CubeSat. Launch is targeted for 2020-2021. GOLF-1 will require a de-orbiting plan that complies with NASA’s NPR 8715.6 NASA Procedural Requirements for Limiting Orbital Debris in order to be manifested on a launch, due to the higher altitude AMSAT has requested. AMSAT has never abandoned the organization’s strategic goals to deploy high altitude, wide access satellite missions. The GOLF program sets a clear path forward to a return to higher orbits. Please consider joining AMSAT at https://www.amsat.org/ and making a donation to help ensure the success of the GOLF program.